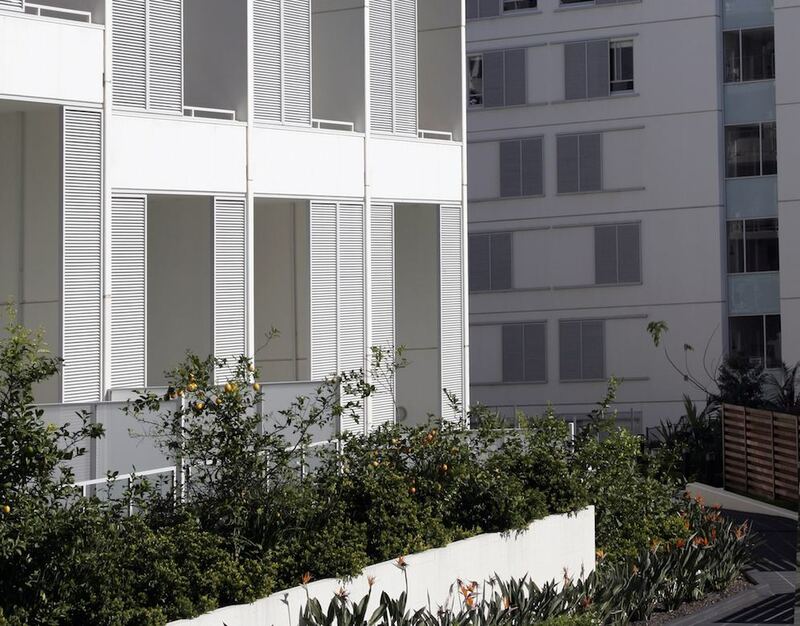 The rise of AirBNB has imposed some interesting challenges for those who own, reside or manage a strata scheme. In this podcast, David Sachs of Sachs Gerace Broome, reflects on a recent Victorian decision and what it may mean for those involved in strata schemes in New South Wales. No doubt you have probably heard of Airbnb, the online platform that allows you to rent out your property in a similar manner as a hotel may rent out its accommodation. What happens if you’re a lot owner in a strata scheme and you’re considering doing the same thing? Recently there has been a very interesting decision in Victoria, and to discuss it I’m joined by David Sachs of Sachs Gerace Broome. David, what’s all this about? Dan, there was a very interesting decision that came out of the Supreme Court of Victoria last week that deals with the ability of an owners corporation to make rules restricting short term tenancies within the strata scheme. This is a really hot issue in strata, not only in Victoria but also in New South Wales because, as most people will be aware Airbnb and various arrangements to provide accommodation to travelers has become a real theme for people coming to Australia from overseas. It’s very common when people are coming t major cities, like Sydney and Melbourne, that rather than staying at hotels, what they organize is to stay in somebody’s home under some private arrangement. What that’s translated into often is that within blocks of people who own their home units, instead of leasing them out to the usual sort of tenancy arrangements, six months, or a year, or two years, advertise the space on Airbnb or other similar sites and bring in people in and out, in and out, that might stay for a few days or a couple of weeks. It’s changing all the time. That’s obviously something that suits that particular lot owner, but there are a number of strata schemes where they take a lot of objection to that sort of practice because they don’t know who’s staying there, there are new people all the time, people become concerned about security and noise, if people are holidaying and having parties. A lot of strata schemes find that that sort of practice is very disrupting for the scheme overall. What we’ve been asked to do many, many times, and we’ve actually become quite accomplished at this, is to draft bylaws for owners corporations that restrict and ultimately prevent any lot owner from leasing out their property under short term tenancies, and effectively prohibiting lot owners from advertising their property on Airbnb. To a large extent that has held water and people have honoured it and accepted it in respect for bylaws that have passed. There was a very interesting decision down at the Supreme Court of Victoria where they have found under Victorian law that those short term tenancy restriction bylaws are in fact invalid, and go beyond the power of the owners corporation. 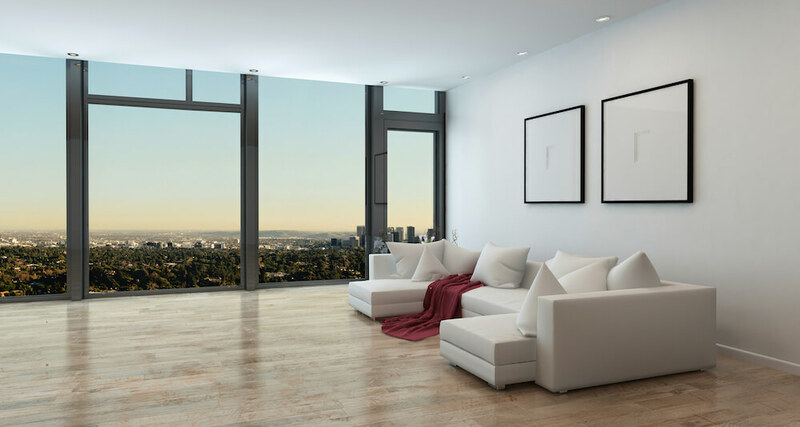 In short, the owners corporation is not authorized to make a bylaw preventing a lot owner from leasing out their property under short term tenancy arrangements. What will be the effect, David, of that Victorian decision? Nothing more than what I’ve explained. A particular lot owner wanted to continue to use their property, to advertise it on Airbnb and to take short term tenancies and to get the premium rent from to, and when the owners corporation took them to the Victorian Civil and Administrative Tribunal to get an order restricting that, ultimately that ended up being appealed to the Supreme Court. The lot owner said you cannot restrict me because you are unable to make that law. That whole law is invalid because there’s no power for the owners corporation to do that. 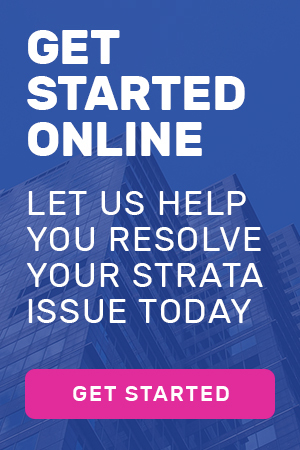 Unfortunately, one of the consequences of our federal system where we’ve gt states that make their own laws is that the law relating to strata management in Victoria is slightly different to the law that relates to strata management in New South Wales. Whilst in Victoria the owners corporations can make bylaws for the management administration of the strata scheme. In New South Wales the empowering part of the legislation is a little broader because it enables strata schemes to make bylaws for the management administration of the strata scheme and the lot within the strata scheme. New South Wales has a broader power for owners corporations to make bylaws. In this case, to restrict the way in which lots are used, whereas it’s a little narrower in Victoria. Reading the decision, which is a lengthy and legalistic judgment, what it is analyzing is the sorts of powers that are given to owners corporation under the particular Victorian legislation, and whether that would support a bylaw restricting short term tenancies. Whilst the principles that are discussed within it are applicable to New South Wales, in New South Wales we’ve got a slightly different legislative regime and arguably, in New South Wales owners corporations are allowed to make bylaws for the management administration of lots, not just the scheme overall. It’s not really the end of it because it raises one of the interesting tensions that’s at play within owners corporations, and that is the extent to which lot owners are freely able to use their property. One example that’s often in the news is to do with smoking. There’s not doubt that if I’m in my home, which is in a non strata place, I can stand in my backyard and I, if I wanted to, could smoke a cigarette and my nest door neighbour, if the smoke drifted over his yard, would not be able to say or do anything about it. It is accepted within strata schemes that if I am standing on my balcony and smoking a cigarette, that if my smoke drifts onto the neighbouring lot, that lot owner can complain and there may well be a bylaw that will restrict me from smoking. It’s not really a revolution in the sense that it’s regulating smoking, but it’s a revolution in the sense that there are rules that restrain me carrying out a lawful activity on my own private property. For a long time people would be amazed that other people could tell them what they could do on their own private property, because essentially it’s nobody else’s concern. If people want to look at their particular rights, at that very narrow sense, then I guess people would be offended by that restriction on their freedom. Likewise with the short term tenancies, they would say, “What’s it got to do with you how I lease out my apartment?” If I’ve got a home and I want to lease it out to Airbnb, it’s got nothing to do with my neighbours. Provided I’m not breaching the law, why can’t I do it? I think that the tenor that’s behind particularly the new amendments to the Strata Schemes Management Act 2015, the one that’s coming into force on the 30th of November, is that the government wants to empower particular strata schemes to be able to make all their own rules, ones that suit their own little community or a quasi village arrangement. The idea being that there is democracy in action not by protecting individual rights, but by protecting the collective rights of owners corporations to be able to make rules that are relevant to their own strata scheme. Whilst there might be one strata scheme that is perfectly happy to allow smoking and that the people next door will just have to deal with any smoke drift, there may be others where they want to be more regulatory and they want to restrict that kind of behaviour. There might be some owners corporations that want to regulate short term tenancies and others who have a more laissez faire approach to it who are happy to allow it. I think if you look at it in terms of that concept of private property, and restrictions, and use, I think that’s really what’s behind the new legislation and what is accepted as the proper model for this kind of democracy. David, there must be a huge number of owners corps out there that are looking at this massive trend toward Airbnb and looking at their bylaws and what have you and going, “I think we’re exposed.” There must be a massive confusion in the marketplace. There is, because a lot of people who are involved in the management probably start with the proposition that they can’t really restrict somebody else from using their property as they see fit. That’s just part of our common understanding being Australian people, that we don’t interfere with our neighbour unless we need to get the police involved. People can, in fact, do that. Under the new act there’s going to be a much broader power to allow people to be able to do those things, to do with smoking, to do with the number of people who can be in apartments to avoid overcrowding. All of these things impact on the whole of the scheme. It’s quite wrong to say that smoking doesn’t impact on the scheme, that people having barbecues doesn’t impact on the scheme, that having fifteen people living in an apartment because they’re trying to economise doesn’t have an impact on the scheme. They do, because all those people use corridors, they make noise, they use lifts, they use pools, they use other common property facilities and the owners corporations need to be able to manage and budget for those things. I think if people become aware of what they can actually do with their bylaws, and how they can actually regulate the way a lot property is used, I think that by getting clarity around all of those things, it makes for a much smoother and more easy to manage strata scheme rather than having someone sitting on the executive committee who has to go around like a cop trying to administer all of this. No one wants to do that job, and no one wants to have someone doing that job. One of the benefits of dealing with the consolidation of bylaws, which is one of the other features that we’ll talk about at another time, is that it brings all of the bylaws together so it’s very easy for people to actually read them and understand what the rules are in strata schemes. All that ends up is that you have a more harmonious and consistently operated scheme.